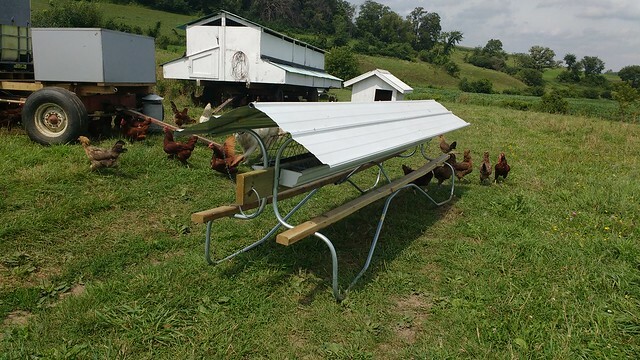 We’ve been searching for a good chicken feeder solution while the chickens are out on pasture. Sure, we’ve been using the regular 30 or 40 pound tube feeders, but they need a roof over them and that makes them impractical for pasture use. 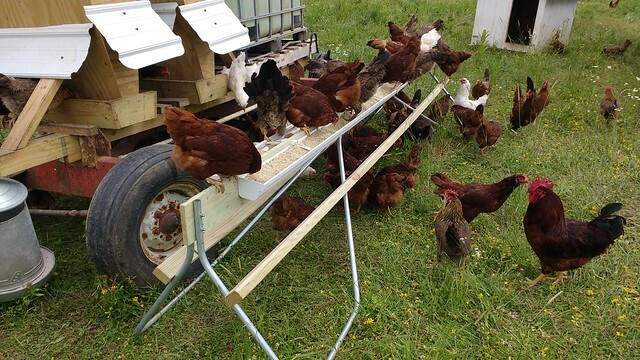 We tried a big homemade hopper feeder on the Chuck Wagon earlier this year, but that was a dismal failure. What we needed was a feeder that was weather proof, had lots of linear inches of feeder space and was easily moved to a new pasture. Bonus points were awarded for keeping the chicken feed inaccessible to cows or pigs, since pasture co-habitation is an occasional reality (intentional or not). Version Notes: lots of linear inches of feeder space, easily moved. 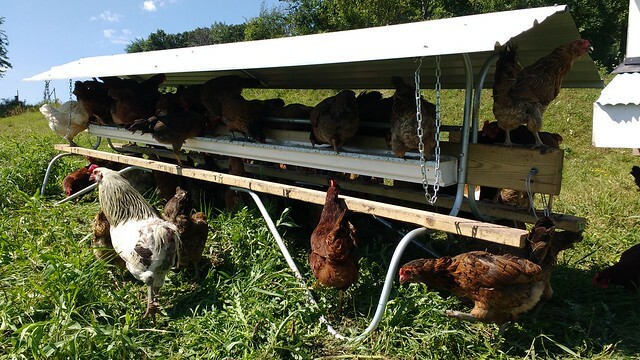 Version Notes: quite weather resistant, chickens prefer to perch on the gutters while they eat. Version Notes: foot-rail usage much improved, anti-perch roller ineffective, potential runner wear issues. 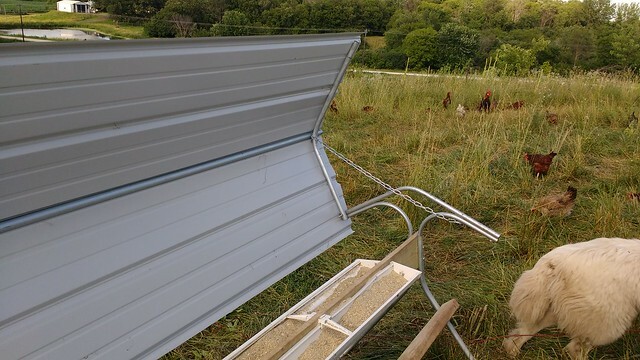 Tags: Chickens, DIY, Equipment, Fail, Second time's a charm?